Tchaikovsky’s score for The Queen of Spades is an extraordinary thing. 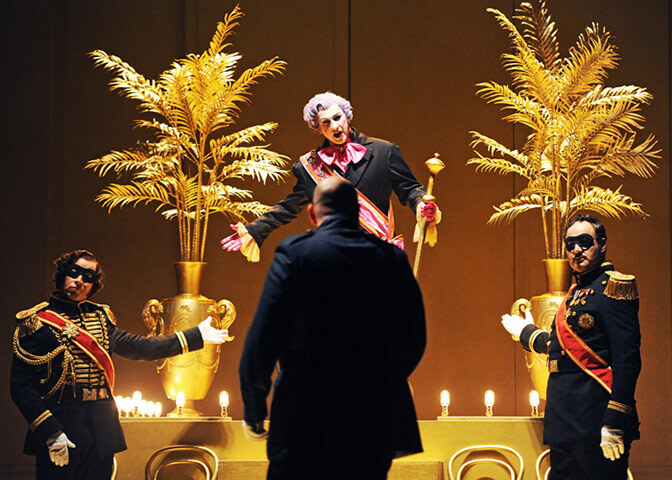 At once expansive, excessive and opulent, it’s also strangely interior; the real action of the opera takes place largely inside one man’s head. As heroes go, no-one is more solitary, more at odds with his world, than Herman. At key moments in the show, I’ve chosen to sweep all the glamour of the 19th century setting aside and present him with brutal simplicity. The second act of the show opens with a grand masked ball – a scene that could easily drown the music in frocks and glitter. The task here was to connect the disconcerting theatricality of the masquerade with the deeper themes of obsession and fatality that run through the music. A chorus is much more than just a group of people – they’re a team who can act as one, amplifying an emotion or gesture on stage to a scale that a solitary performer can never dream of achieving. 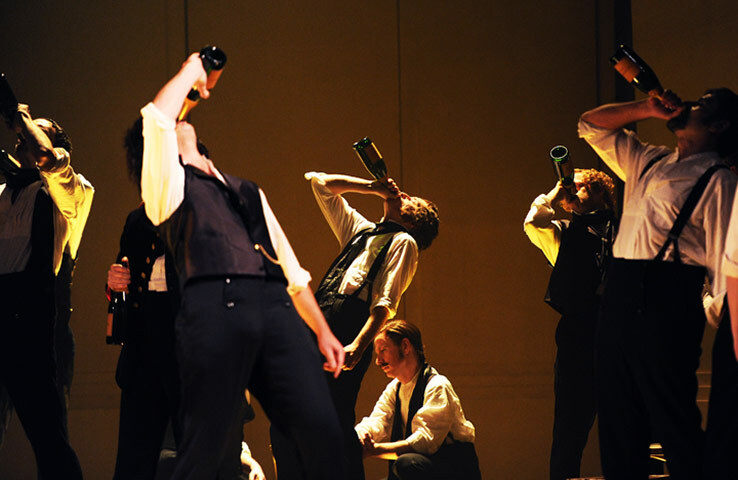 Put the simplest action – knocking back a drink, in this case – in time with music as theatrical as Tchaikovsky’s – then amplified by the number of people you’ve got in the chorus, and the gesture can acquire an extraordinary kick. The simplest tricks are the best. 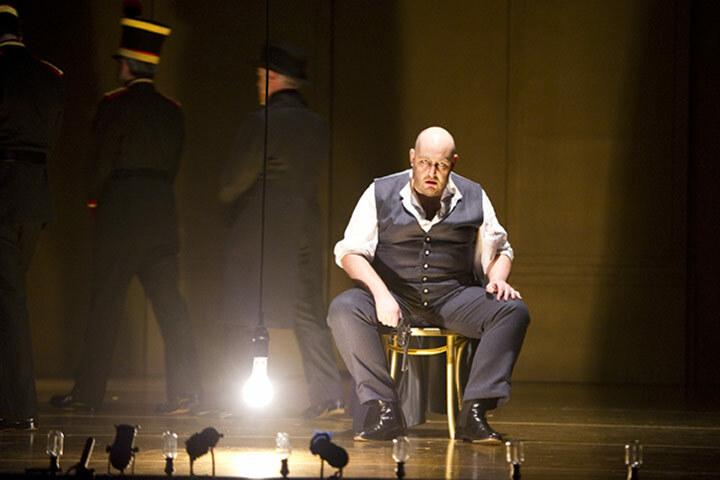 This entry was posted on October 20, 2011 at 4:38 pm and is filed under Music with tags composers, directors, neil bartlett, opera, opera north, photographs, queen of spades, tchaikovsky. You can follow any responses to this entry through the RSS 2.0 feed. You can leave a response, or trackback from your own site. I love the elegant simplicity of the sets and costumes…so classy. I would love to see this production.